The Scientific Committee of the EMEA-EMNES Call for Papers: “Towards an inclusive socio-economic model in the Mediterranean” decided that the winner of the Best Paper Award for 2017 is Aya Elewa for the paper “Coexistence of large and small firms: How does product mix respond?” for the relevance and quality of scientific and policy contribution. 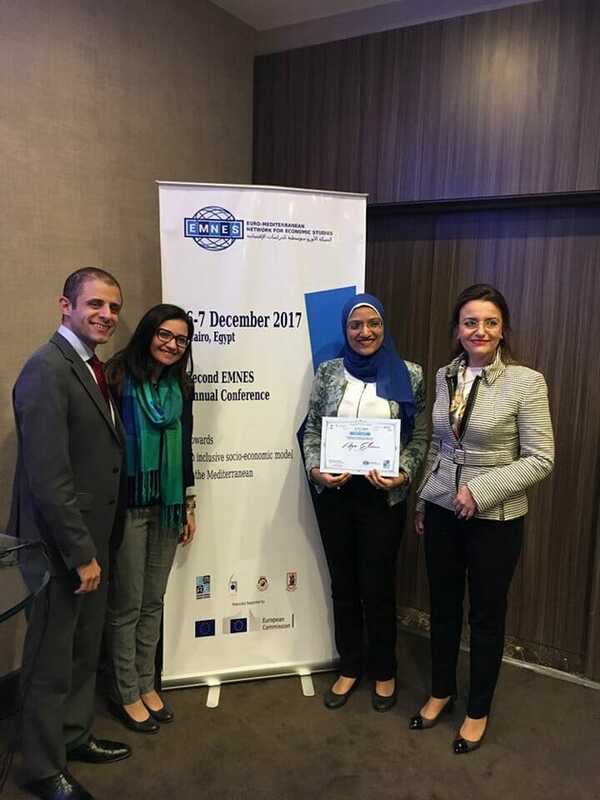 The award ceremony was held at the end of the 2nd EMNES Annual Conference in Cairo, on 08 December 2017. The award was presented by Professor Rym Ayadi, EMEA Founding President and EMNES Scientific Director.